A look at this week’s art news, including Theaster Gates’ new exhibition in Basel, in which the artist has transformed exhibition spaces into active sites of creative production. A look at this week’s art news, including a new public art initiative launched by the artist-run Super PAC For Freedoms, and a new participatory performance series by Nick Cave. A look at this week’s art news, including “Rob Pruitt: The Church,” a solo exhibition and space for ongoing community engagement investigating the intersection of religion and public spaces. 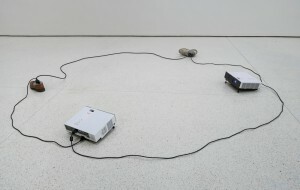 A look at this week’s art news, including the exhibition “Art in the Age of the Internet” at the ICA Boston which explores how the internet has shaped contemporary culture and artistic production. A look at this week’s art news, including the recently announced United States Artists 2018 Fellows, and events and exhibitions from Syracuse to Zurich. A look at this week’s art news, including a new graphic novel on Graciela Iturbide from the Getty, and events and exhibitions from San Francisco to Seoul. A look at this week’s art news, including Art21 artists rallying to save the National Endowment for the Arts, and events and exhibitions everywhere from Phoenix to Reykjavik. A look at this week’s art news, including the upcoming J20 art strike, and events and exhibitions everywhere from San Francisco to South Africa. A look at this week’s art news, including Natalia Almada’s film premiere at the New York Film Festival, and events and exhibitions everywhere from Bremen to Belgium. A look at this week’s art news, including Pedro Reyes’ latest project, and events and exhibitions everywhere from Switzerland to South Korea. A look at this week’s art news, including the selection of Mark Bradford as the United States’ representative at the 2017 Venice Biennale, and exhibitions on view everywhere from Florida to France. New and recent goings-on featuring Mark Bradford, Paul Pfeiffer, Mary Reid Kelley, Trenton Doyle Hancock, Ann Hamilton, and other ART21-featured artists, all in this week’s roundup. Trevor Paglen uncovers government code names, El Anatsui manipulates newspaper printing plates, David Altmejd has a retrospective in France, and more in this week’s roundup. ART21 returns to PBS tonight with a new season of the Peabody Award-winning series Art in the Twenty-First Century. Matthew Ritchie investigates cinematic landscapes, Richard Tuttle exhibits textiles in London, Marina Abramović returns to New York, and more in this week’s roundup. In this preview from ART21 Art in the Twenty-First Century Season 7, artist Trevor Paglen describes the inspiration that he has drawn from early NASA spacecraft.